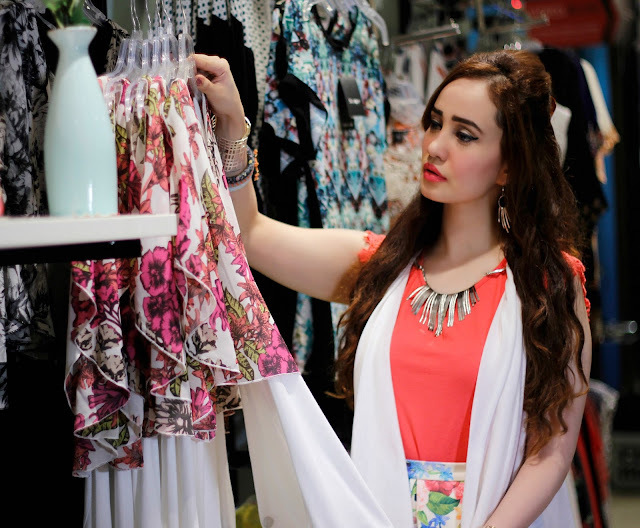 I recently visited the Shoppers Stop store to check out their Spring Summer 2016 collection and absolutely loved their vast array of easy breezy summer looks packed in with a variety of floral designs, color blocked prints and sun-kissed colors. 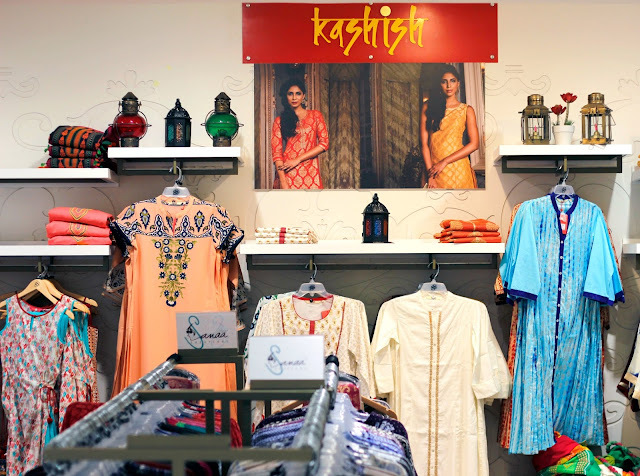 Their collection has super chic & comfortable silhouettes as well as summer ready bright pop colours. 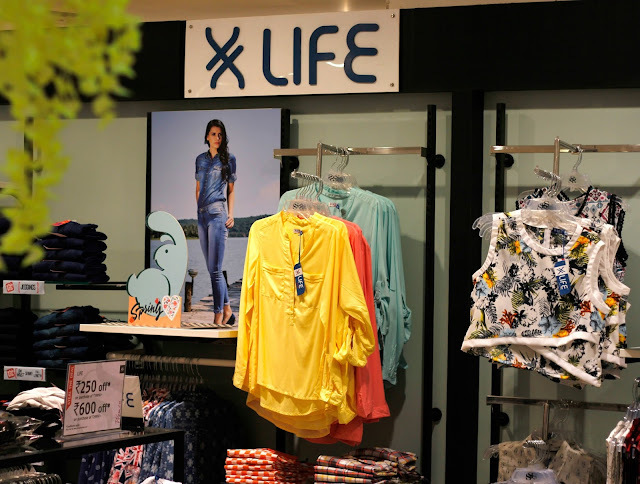 Their new collection offers stylish & contemporary clothing and accessories across Shoppers Stop’s exclusive brands Life, Stop, Kashish, Haute Curry, Elliza Donatein, Femina Flaunt & Rocky Star. 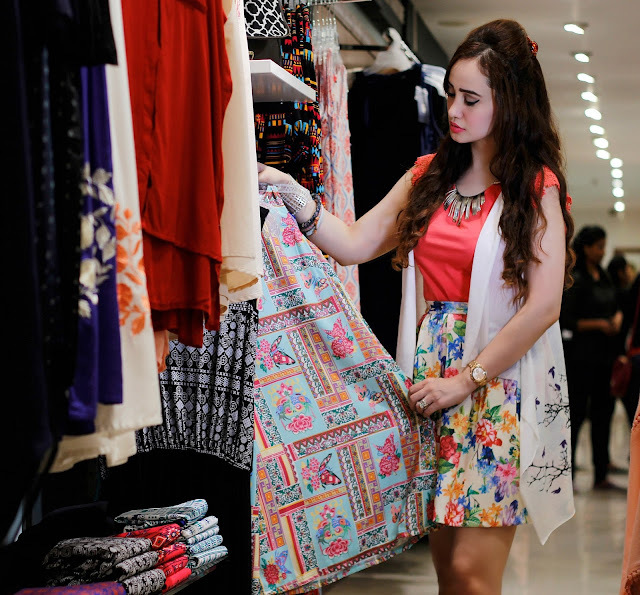 All these collections can be bought on the Shoppers Stop website or through Shoppers Stop App. 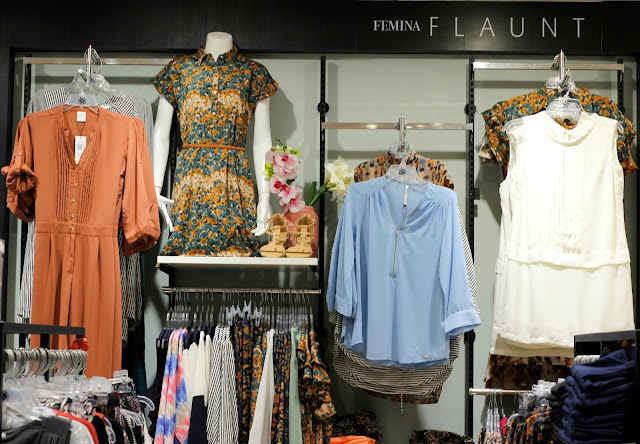 Their collection features some of the season’s must-haves including chic summer dresses,skater skirts, capes,palazzo pants, trendy jumpsuits, cropped tops, graphic tees, funky shorts, printed pants and much more. 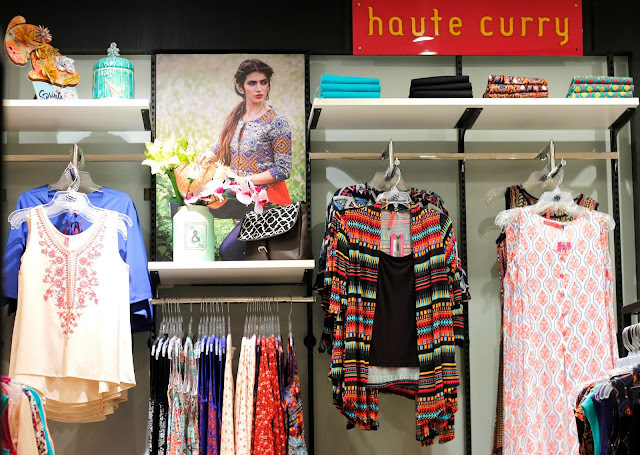 They also have a wide selection of statement accessories such as printed bags, bright colored sunglasses, jewellery and footwear to complement your spring summer ensembles. 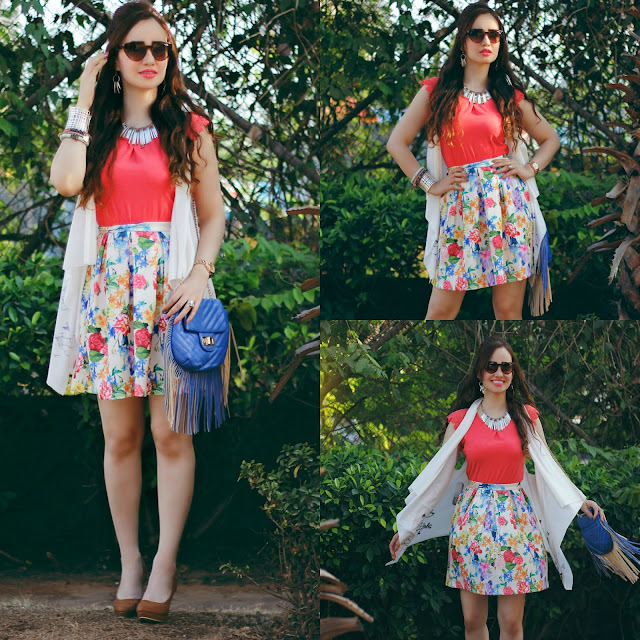 So I put together an easy breezy look for summer from their latest collection – I paired this pretty coral top with crochet detailing at the sleeves from Stop layered with white sleeveless cape from Life with a gorgeous floral skater skirt from Life. 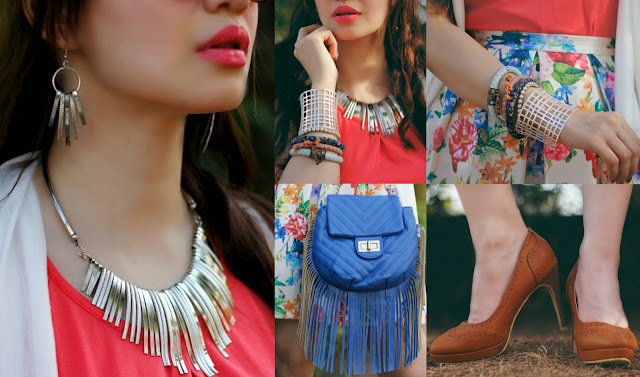 I accessorised the look with a silver statement necklace with matching earrings from Life, a silver cut-work metal cuff bracelet from Life and a couple of multi-colored bangles from Haute Curry. 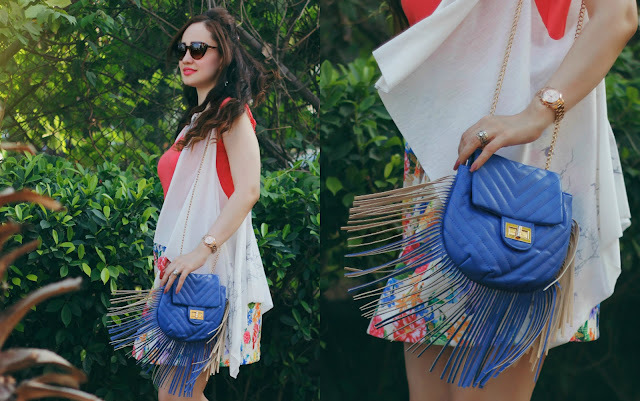 I carried this super trendy cobalt blue fringe bag from Femina Flaunt and wore these brown round-toe pumps from Rocky Star. 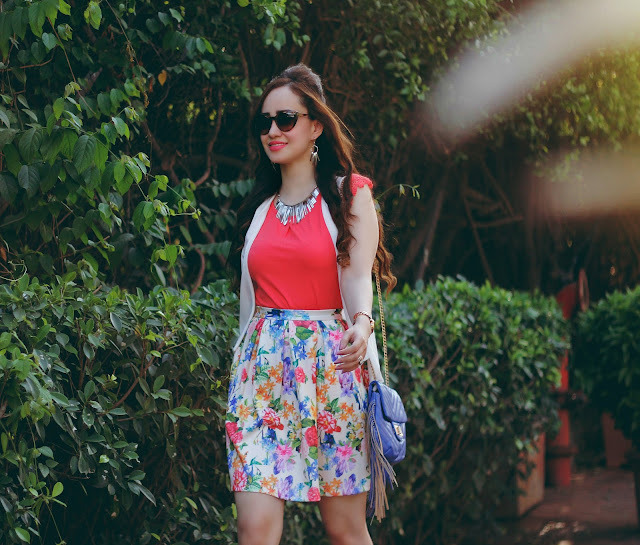 This look is perfect to flaunt this spring summer with summer colors like coral, white, yellow and blue, comfortable silhouettes like a relaxed t-shirt, cape and a skater skirt and a summer staple – the floral print. 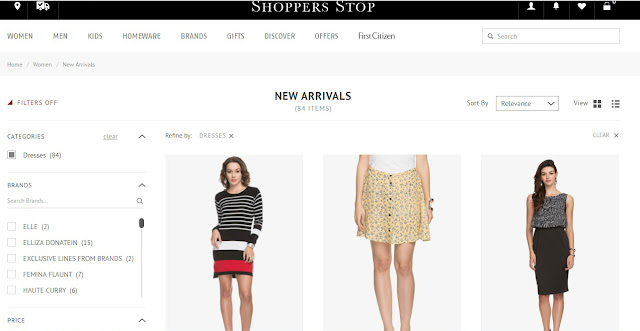 Another great thing about Shopper’s Stop is that I have the luxury of also Shopping online on their website, it is the most convenient way to shop their new styles from the comfort of your own home,where you get the best of new spring summer fashion in the latest styles delivered to your doorstep. 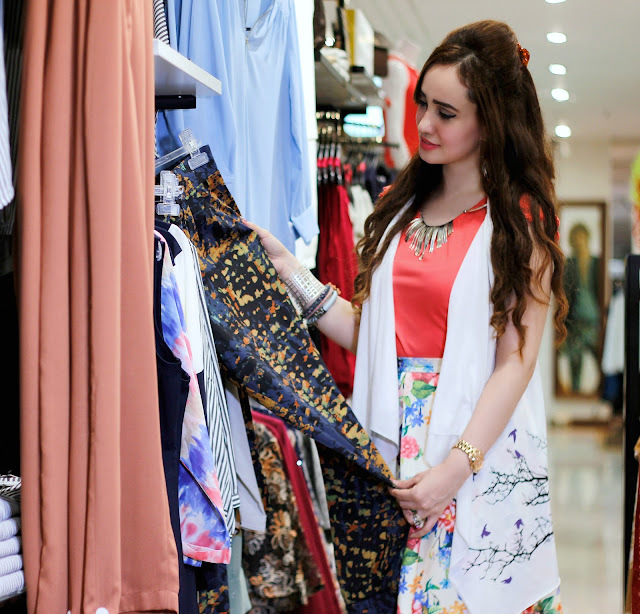 I absolutely loved the vibrant new collection at Shoppers Stop and I found quite a few interesting pieces to spruce up my Spring/Summer style. 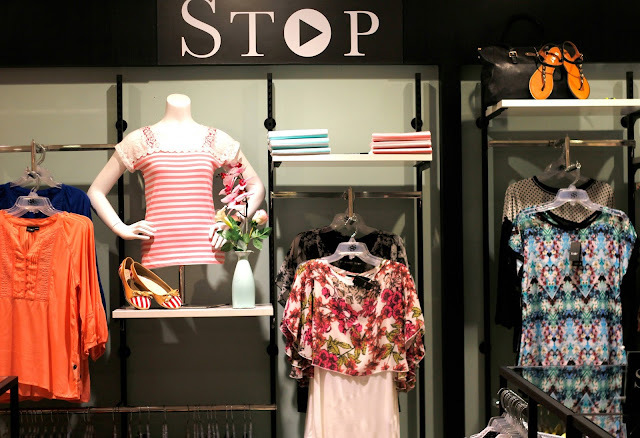 If you looking to add some super chic styles to your wardrobe this Spring/Summer make sure you check out Shoppers Stop’s new collection on their website or on the Shoppers Stop App. Love all of the beautiful spring colours! SO bright and fun! Love that skirt as well. What a lovely piece. This is such a gorgeous floral skirt. You look amazing from head to toe!